Limerick Youth Service (LYS) & GOSHH will host Limerick Pride Youth Party 2018 at Lava Javas Youth Cafe, Lr Glentworth St, Limerick on Friday, July 6th from 5:30 to 9 pm. A celebration of the LGBT+ youth community, this year’s Limerick Pride Youth Party is open to all young people, regardless of gender, ethnicity, sexual orientation or race are invited. Organised by young people (14-19yrs) with LGBT+ Youth Group Limerick, the Limerick Pride Youth Party 2018 promises to be a colourful evening with live music, games, painting and plenty of food! ‘It’s going to be the biggest and best Pride Youth Party ever!’ exclaimed LYS youth worker, Olivia Chau, who along with Rachel Newland, GOSSH, have been busy working with the young people ahead of this year’s Pride”. ‘With this year’s theme ‘We Are Pride’ the young people will display what Pride means to them through art pieces, music and rainbow themed food,’ said Olivia. 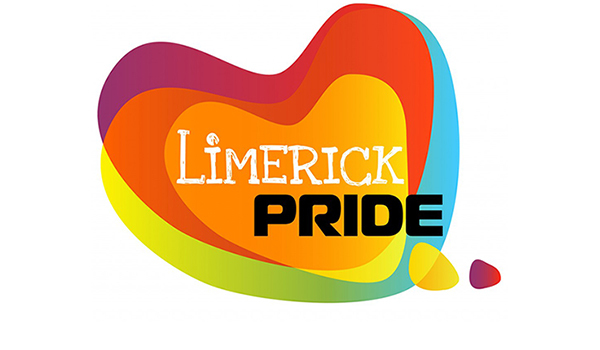 In addition to the Limerick Pride Youth Party 2018, the team will also be preparing for Limerick’s Pride Parade which takes place the following day, Saturday, July 7th in Limerick City. LGBT+ Youth Limerick is a partnership between LYS and GOSHH and is a group for LGBT+ young people to spend time, meet friends and access support and guidance. The group has been together for over a year and has been to the fore in supporting young people who identify as LGBT+ and also engage with parents and family members. ‘Although attitudes have changed there are still young people for whom ‘coming out’ can be a lonely and tough place and that is where our group helps,’ said Olivia. The group meets every Friday at Lava Javas Youth Café where LGBT+ young people can meet friends or access support and information on issues such as sexuality gender. For more on Limerick LGBTQ Pride Festival 2018, go here.